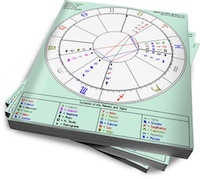 Taurus thrives on routine and Gemini needs variety. These two have little in common, but they have much to teach each other. With mutual tolerance for their differences, this couple can be quite good for each other. Sun in Taurus wants things straightforward and secure. This grounded sensualist communicates through touch and the establishment of daily rituals. He wants a partner who shows rather than tells; Sun in Taurus needs physical evidence of lasting commitment. He can be the ultimate provider, ensuring that his mate has all the comforts of home. But his partner will have to fight if she wants to change his way of doing things. The Shadow of the Bull wields narrowmindedness like a club, mistaking it for stability. Moon in Gemini needs a constant flow of fresh experiences. Ms. Mercury lives up to the nature of her ruling planet; light on her feet and changeable. Some may accuse Moon in Gemini of being fickle, but the truth is she just needs variety. A partner who can supply her with little surprises and interesting conversation will keep her happy. But her lover also needs to have patience, because she can cover the entire spectrum of emotions in one day. This Moon’s Shadow side includes nervousness and superficiality. At first glance, this couple’s differences seem insurmountable. Moon in Gemini will chafe under Taurus’ solid schedule, and Sun in Taurus will find Gemini to be incomprehensible. But if other planetary contacts draw (and keep) them together, these two could be the antidote for each other’s Shadows. Moon in Gemini can inject some variety into Taurus’ life, placing emotional exclamation marks into his routine. Sun in Taurus can provide a calm shelter while Gemini zips from one emotion to the next. If she becomes frenetic, he can ground her with one or two strategic comments. Each can prevent the other from manifesting the extreme, unhealthy versions of their signs.